Find out the truth behind Prop #37. Yes on Prop #37 is supported by manufacturers that want you to know what's in your food. Organic farmers and manufacturers pay extra money over conventional farmers for inspectors to check their farms and processing plants. Important part of food safety and want to make sure customers know there was no GMOs or pesticides used. Grateful we have USDA Certified Organic foods. Change the world with a dollar. A new poll conducted by the University of Southern California and the LA Times has found that Proposition 37, the GMO labeling initiative has slipped a whopping 17 points since the last poll in September. The proposition continues to lead but only by 2 percentage points with less than a week before the election. Thirteen percent of likely voters are still undecided on whether to require mandatory labeling of genetically modified organisms in foods. The dramatic shift in opinion is likely due to the barrage of dollars spent by vested corporate interests to defeat Prop 37. Chief among them are Monsanto corporation, the leading commercial force behind the creation, promotion, and widespread use of pesticides and genetically modified seeds in farming, and the Grocery Manufacturers Association which represents the world’s largest processed food producers and distributors such as Coca Cola, Pepsi Co, and Nestle. Together, they have spent $41 million in advertising and other campaigning, claiming that Proposition 37 is “anti-science,” and would lead to huge increases in food prices, the banning of safe foods. At least two newspapers have concluded the No on Prop 37 ads are misleading and deceptive. Now, one of the world’s most renowned scientists and environmental activists, Vandana Shiva, is speaking out on behalf of proposition 37. Long a thorn in the side of Monsanto, Dr. Shiva has taken on big bio-tech and agribusiness companies in her home country of India and works with farmers groups all over the world to protect their right to farm using their traditional methods and seeds. GUEST: Trained as a physicist, Vandana Shiva is the founder of Navadanya, “a movement which aims to protect nature and people’s rights to knowledge, biodiversity, water and food,” by creating community seed banks among other things. She just concluded a two week long global action called “seed freedom.” She has written nearly two dozen books, including Democratizing Biology: Reinventing Biology from a Feminist, Ecological and Third World Perspective, and Soil Not Oil. Her forthcoming book out next year is entitled Making Peace With the Earth: Beyond Land Wars And Food Wars. Vandana Shiva has won a number of awards including the Sydney Peace Prize and the Right Livlihood Award and was named by the Guardian newspaper as one of their Top 100 most inspiring women. Kolhatkar: It’s been a number of years since we spoke with you, so much has happened here in California, one of the most exciting developments since I last spoke to you is the ballot measure proposition 37 which has garnered a lot of excitement here in the state, but as somebody who is an international activist, how far behind are Americans and is the US government on the issue of labeling genetically modified organisms in our food. Shiva: I think Proposition 37 is an opportunity for both the US citizens and I put the US citizens first and the US government to catch up with the rest of the world. Europe has had mandatory labeling from the early part of around 2003. India has just announced mandatory labeling beginning first of January 2013. And this is out of a case we filed in 2006 saying ever citizen has a right to know what they are eating and a right to choose. Do they want to be vegetarians, non vegetarians? Do they want to be chemical eaters or do they want to be organic eaters? Do they want to be GMO eaters or non-GMO eaters? These are fundamental choices and if on chemicals, we can accept labeling, if on transfats we can accept labeling, on simple things like how much salt and sugar is in our food, we can accept labeling. Why should the government and the industry be scared of just putting there, “This has GMOs,” if they are not worried about what GMOs do and they are not worried about how much facts they are suppressing in the process of pushing GMOs on unwilling consumers, not getting the full information. Kolhatkar: You are a scientist by background. Your training is in science. The people who are against prop 37 Monsanto which is a long time foe of yours say that the people who support Proposition 37 are anti-science, because there is no evidence that GMOs harms human beings. Does one actually need evidence of harm in order to have labeling? Shiva: Well I think the labeling question is totally separate from the scientific debate of safety. A label is just a fundamental democratic issue. It’s about the freedom of citizens’ right to know and choose. A certain amount of salt is not harmful for us, but we still put it on the label. Calcium is not harmful for us; we still put it on the label. Just for people to make decisions on the basis of information. There are of course huge scientific issues related to the GMOs and tragically it is corporations like Monsanto who are pushing anti-science, non-science on the public. I have lived long enough with this issue to know what they’ve done across the world. I was on the first expert group set up by the United Nations to frame the bio-safety protocol and I saw how in the United Nations they tried to mislead, but there was always far more information about the risks, so we have a UN Cartagena Protocol. The United Nations which is countries across the world wouldn’t have a protocol on bio-safety if safety had been proven. Now unfortunately the United States is not a signatory and therefore it is constantly denying its citizens the rights that citizens elsewhere have. Earlier this year, CODEX Alimentarius which is the highest body on food safety, said every country has a right to label. This was after a twenty year tussle where the United States had tried to block the right to label as a global right, because then they could have used labeling to sue countries which they did with Europe. On the Science question, what is the science of genetic engineering? It is really not a science; it’s a technology of shooting a gene that doesn’t belong to a plant through two means. One is a gene gun and one is an agro bacterium, a plant cancer. You don’t know where it’s landing; you don’t have the science of prediction. You don’t know what it is doing. You don’t know if it is getting absorbed, that was why you add anti-biotic resistance markers. You know the plant is not expressing it so you add super virulent viruses to…pumping up the expression. They’re called promoters. So, you have a bundle of toxic risky genes. All of the real science tells us there is a phenomena called horizontal gene transfer in nature, when vertical is where your genes are taken from your parents, it’s offspring to offspring. Horizontal is when it moves across species. We know the bacteria in our food hybridize with the bacteria in our gut. We know the viruses in our food hybridize with the viruses in our gut. We know, in spite of them saying the BT toxin doesn’t last, new studies in Canada show it has been found in the blood of pregnant women and in the fetuses they’ve given birth to. A new study in France, two year feeding study are showing high levels of mammalian, of cancer in mammal. A similar study had similar results, in Russia in the Academy of Sciences. These are independent scientists with absolutely no involvement in any business industry interest. They are what we call public scientists. UK government asked Arpad Putzai, one of the most eminent scientists to do a study on GM foods, way back around 98’ and he did it. He was actually a promoter of genetic engineering, but when he did the study, he found the results; the rats he had fed had shrunken brains, enlarged pancreas and a collapse of immunity. He went to his director and said if this has happened with three months of feeding rats, what will happen to a lifetime of feeding human beings, we should inform the public. They did, went all over BBC immediately, this is what we’ve been told, a call from Monsanto to Clinton, to Tony Blair to get rid of the top scientist who had left Hungary for freedom. And he said I had more freedom in Communist Soviet Union, in Hungary then in the freedom in corporate ruled England. That freedom is what the US is losing and US citizens are losing as corporations take over our science, our decision making, our food systems and our seed. So Proposition 37 is not an insignificant proposition. It is in a way a reflection of the larger debate in this election. Will money run it or will the people’s democratic votes run it? Will democracy in America be of the people, by the people, for the people or is it going to be reduced to of the corporations, by the corporations, for the corporations? In which case, you have corporate rule and corporate rule means corporate dictatorship and corporate dictatorship as Mussolini said is Fascism. The convergence of political power with economic power, very dangerous moment, but also a moment that pushes us to create new levels of an aspiration, an action for freedom. Kolhatkar: What would the ripple effect be, if Californians passed Proposition 37. This is the biggest state, the most economically successful state in the union. It’s also the ninth largest economy in the world and as you have said, the US is so far behind other countries. Could there be a ripple effect far beyond California and globally if labeling, simply labeling were to become law. Shiva: I think there’d be a huge ripple effect not in the way fear-mongers, the no to Proposition 37 are saying. They’re saying there will be a $400.00 cost per family. That’s nonsense, labeling has never ever increased cost. You have to just look at what happened in Europe. You just have to look at what happened with other food labeling, so this is totally creating fear especially among the less privileged, who are already having a difficult time meeting their food bills. The second thing they’re saying there’ll be too much a burden, a segregation, etc… This is already an obligation California has when it exports. Europe requires segregation. You can’t mix up GM seeds with non-GM seeds, so you are anyway doing it for your export market. Why don’t you then expand it to your citizens, surely they should be treated at least as equal to citizens elsewhere. The real ripple effect of the vote in California and I hope it goes through and I’m throwing all my weight behind it, which is a vote for truth against lies. The biggest ripple effect will be that Washington has actually been held captive by the Monsantos of this country and their lobby groups. It would liberate Washington and we need liberation of Washington to liberate the rest of the world. I’ve had to deal with my country where Washington tells the Prime Minister’s office because now they’ve got an agreement called the US Indian Knowledge Agreement in Agriculture. Monsanto sits on the board and the prime minister’s office tells the regional governments, sign an agreement with Monsanto, hand over your seed, genetic resources, research and let them patent everything India’s done for five thousand years of farming. We had to do a massive [inaudible] a seed journey, a seed liberation journey to get that MOU of Rajasthan canceled. Poor little Nepal, a tiny country bullied by Washington to say, if you don’t accept GMOs and write an agreement with Monsanto, we won’t give you aide. 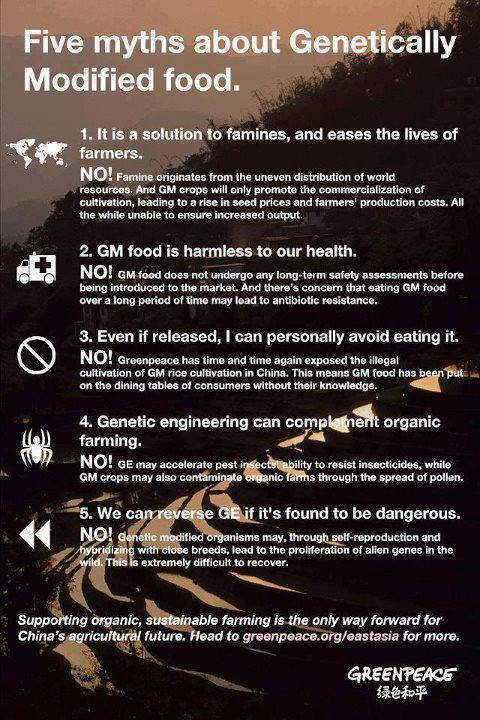 Again my colleagues in Nepal had to do a massive mobilization to say no to GMOs and no to Monsanto. So, today the empire is a GMO empire, because it then a patent empire. You collect royalties, the British collected royalties from land and became the power of the world, really by stealing from the peasants, which created the hunger of India and the two million deaths during the great Bengal Famine. Today the super extractions through royalties on seeds linked to GMOs. GMOs have no other purpose except to bring royalties to Monsanto. That is why the Brazilian farmers have sued Monsanto for 2.2 Billion dollars. That is why nearly a quarter million Indian farmers have committed suicide because of the royalties they are paying and the debt they’re getting into. The ripple effect is absolutely huge and you know, freedom in my view is indivisible and that is why every step we take anywhere in the world the parliamentary committee of India, that has said there is no roll for GMOs in agriculture after the suicides. Our recent technical group appointed by the Supreme Court has said there should be a ten year moratorium till we start to do more independent science, to inform the public most of what is passed as science these days is Monsanto’s public relations, because they just kill every…, literally the work, research, the lab of every independent scientist. They’re going after Seralini, there going after Arpad Putzai, the only reason they’ve not gotten rid of me, I got rid of a job in 1982. I have no job they can take away from me and that is the reason I’ve carried on for twenty-five years. Kolhatkar: You talk about seed slavery and I want to ask you about that, because slavery is a heavy word. If companies, and you’ve also discussed how only five companies in the whole world now actually control seeds. If seeds can be owned then food can be owned which in turn allows these corporations to control life, is that what you mean by seed slavery? Shiva: I mean exactly that. After all, what was slavery when human beings were owned captured in Africa, brought to cotton plantations in this country. They were owned as property, to be bought and sold. When Monsanto writes the WTO agreement on intellectual property and Monsanto is on record saying, we were the patient the diagnostician and the physician all in one, we define the problem. And for them the problem was that farmers save seeds. And they offered a solution that should now be a criminal offense, to save seeds. It should be an intellectual property and they created this new fictitious law of intellectual property and patents on seeds, as if they were the inventors and creators of life on earth. When I heard these corporations talk in 87’ this language of intellectual property, I said they want a slavery of life on this planet. If I am telling a plant, I have created you and your next generation is my property and I will manipulate you to my will. I will put toxic genes so that I can sell more toxics. I will put terminated genes so that there is no future seed, it’s a sterile seed. This is the ultimate slavery because the earlier slavery was for one species, some people of the human species. This new slavery is an empire of, over all life on earth and it is also leading to human slavery. 270,000 farmers have committed suicide, more than a quarter million in India. They became seed slaves. That’s why they ended their lives. They couldn’t find a way out. The farmer in Europe who is being chased by new seed laws that these companies are putting in place are being told you can’t have your own seed. If you have your own seed that’s a crime. Diversity is a crime. Your own seed freedom is a crime. This is why we are giving a call for seed freedom globally. And we have created the global citizen’s alliance for seed freedom which issued a whole new report. Global, both in the positive steps that citizens are taking everywhere to save seeds, liberate the seeds, fight these corporations, as well as the new laws and the new implementations they’re trying to shape. If you take it all into account what we are really needing is something like the abolition movement. It is a handful of people who thought it was wrong that people should own other people. When I started 25 years ago it was a handful of us who thought it was wrong that some companies should decide to declare life as their creation and property and then extract royalties and close our options. 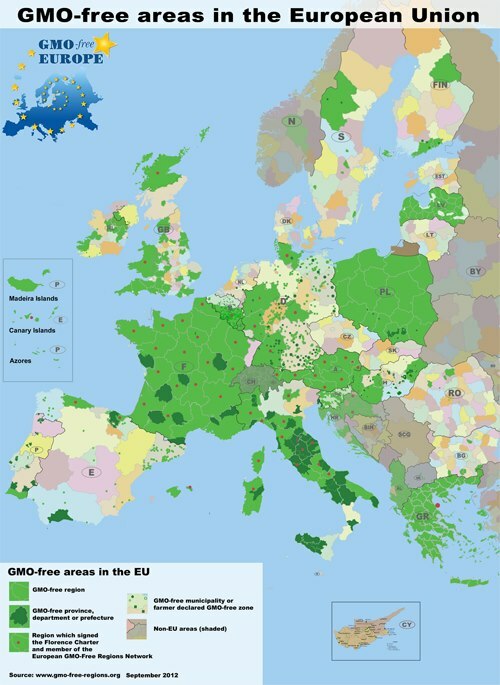 Why is so much GMO spreading? Because GMOs are connected to patents. 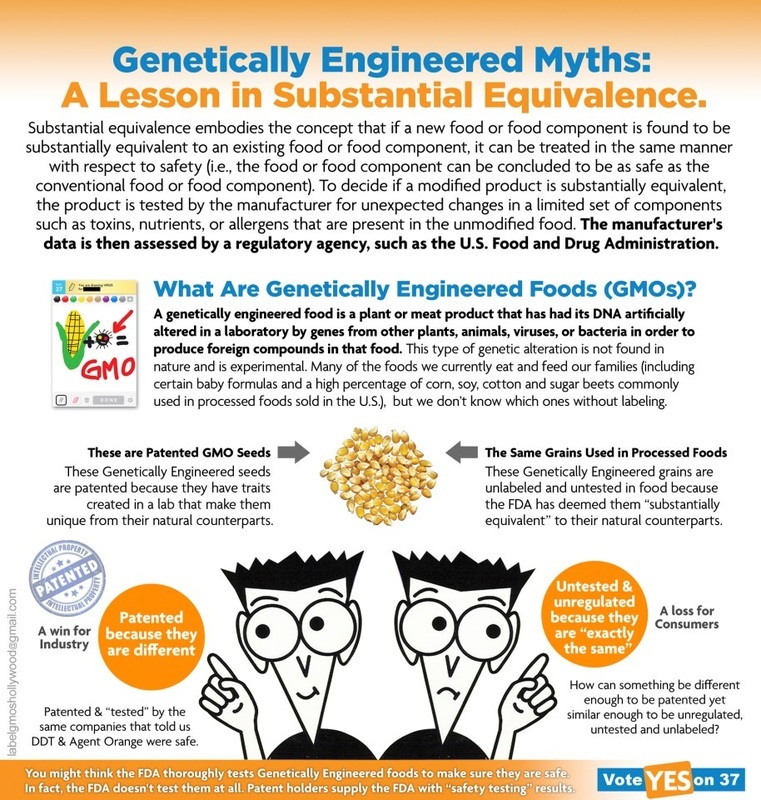 Only when GMOs grow will they collect the royalties. That’s why all of Latin America is Round Up Ready soya. All of Brazil is Round Up Ready soya. All of the farming areas of the mid-west of this country is GM corn and soya. 2% of the soya is eaten as food. The myth that this is feeding the world is a big lie. It is feeding the hunger for profits for five corporations. Kolhatkar: And their argument is often that they can create these genetically modified plants that are resistant to drought resistant and to all of the temperaments of nature, but in reality, don’t these GM seeds often require more chemical intervention which then Monsanto happily sells to the farmers? Shiva: Well, so far in these 20 years of commercialization of GM crops (and we’re not talking about the future we are talking about an experiment of twenty years.) There are only two traits that have commercialized on a large scale. One is a family of crops called the BT crops in which a toxin is taken from a soil organism and put into the plant. The claim is that it will control one pest called the boll worm. But that pest has become resistant and new pests have been created. In India 13 times more pesticide is being used in cotton compared to what was happening before. The second family is the Round Up resistant crops or the herbicide resistant crops. These herbicide resistant crops were supposed to control weeds. Instead, the US has fifteen million hectares of land overtaken by super weeds that can’t be controlled by Round Up. Now they are asking farmers to spray Agent Orange that was sprayed in Vietnam. So it is not the case that it does the pathetic work of weed control and pest control. Ecological farming does that much better. The argument that they can engineer climate resilience with a single gene is, again, a false claim. It’s an anti-scientific claim. All complex traits like resilience to the environmental stress whether it be climate or a pest are multi-genetic traits. Many genes come into play. These seeds have been evolved by farmers and nature over millennia. Navdanya with its 110 seed banks saves climate resilient crops because we know that this is what farmers need today: salt tolerant seeds that we can use after cyclones, flood tolerant seeds after flooding, and drought tolerant seeds. All that the companies are doing is stealing and engaging in bio-piracy of what farmers have bred. A herbicide tolerant crop means they sell more herbicide. They have said very clearly in conversations I’ve had with them that every failure is a success. Round Up ready 1 fails, they bring in Round Up ready 2 with two genes of round up resistance. Boll Guard 1 fails with one gene of a BT toxin they bring in Boll Guard 2 with two genes and they’ve carried on up to 8 genes. Every time they stack up the royalty. So for them it’s a game that will not lose because every failure means more chemicals, every failure means more royalties, every failure means more control. That’s why the only thing that can stop them is a people’s democratic movement. And that’s why Proposition 37 comes back to the center of this discussion. Kolhatkar: I wonder how you see Americans learning from what you and the farmers in India have done. Here in the United States, although of course we’ve got a rich culture of small farmers, much of our food system is controlled by big agri-businesses. When Monsanto talks about beating Prop 37 they talk about doing it on behalf of small farmers but they mean big agri businesses. In the US do you see this more as a consumer’s movement rather than a farmer’s movement or a hybrid? Shiva: The small family farm of this country has been destroyed by big agri-business. The United States like India was the land of small farmers. But now there is a huge explosion of small farmers. The organic movement is new agriculture it’s a whole new movement. I saw data showing that the majority of small organic farmers are actually women. Urban women moving to do agriculture. I’ve built this movement of Navdanya which means nine seeds and we have a farm which is a teaching and research farm and a bio-diversity conservation farm where we are at this moment harvesting 630 varieties of rice. We get people from around the world including a lot of young Americans who want to become farmers or chefs or something in the food system and this is for two reasons. One is the options are closing after the collapse of 2008. Why is Occupy Wall Street such an important movement in this country? Because the youth recognize that their future is being limited by a Wall Street driven, Monsanto driven, Walmart driven economy. But the second is that those who do have an option to have a job realize how dead these jobs are. They’re not fulfilling and people are seeking a deeper meaning in life working with the earth protecting seeds. Our report on seed freedom has many many many contributions of seed savers in this country. So it’s a huge huge movement and this issue of seed freedom and the issue of fighting these giants will also be an issue of the small initiatives. It will be an issue for the children. I see in the future the movement for edible education, the movement of school gardens, being a major political force because when that child has tasted a healthy tomato and more than that gone through the miracle of having that seed give them one hundred tomatoes that child can never be brain washed into the idea of scarcity for dependence on Monsanto. That child can never ever be sterilized to think bad food is good for you. They will celebrate taste and quality and nutrition and freedom. That is going to be a very important set of players. I’m doing this in India and I believe this needs to be done in the United States. We always believe that because organic is costly (and it’s costly because the subsidies go to the poisons) that therefore it’s an option for the rich. But the point is that there are huge subsidies to make the chemical food, the GMO food move to the poor. All we have to do is redirect our tax money. Just like we have the right to know what we eat, we have a right to decide how our tax money will be used for the public good rather than private greed. Kolhatkar: The economy is inextricably tied to how food is created, bought and sold in today’s corporate capitalist driven economy. The Monsantos and Walmarts, particularly Monsanto, rely on GMO’s because they can own the patents and they can make money that way and the never ending growth model that we’re told is the only model for running our economic system assumes that there are never ending resources on this planet, which of course there aren’t. What do you see as an alternative to this global economic system that we call capitalism that is in many ways driving both climate change as well as the end of bio-diversity. Do you back small scale capitalism and markets or do you back things like socialist alternatives, etc.? Shiva: I think we need a far more radical shift to deal with this new mythology of limitless growth. And that shift is taking place. It’s taking place, for example, in that tiny country called Bhutan which said we’re not going to measure GDP or Gross Domestic Product because it measures nothing but the commercialization and commodification of society. If I cut my forest and sell off the timber, I have growth but I have no forest, I have no water. This is why the Chipko movement, the first movement I was part of, said these trees provide water not timber. Change your mind set. Bhutan shifted to Gross National Happiness, and not happiness in an empty way, it’s happiness and well being. People need to remember that the original root of wealth is well being. Well being. Wealth, the state of well being, that’s where we are coming to now. Coming back to the real meaning of the term economy derived from oikos is looking after your home, looking after this planet. Ecologoy and economy were two sides of the same coin. Ecology was the science, economy was the management. Aristotle said economia is the art of living. Chrematistics is the art of money making. We have taken the art of money making which has created the oligarchs and has allowed the stealing of our democracies and has given us poisoned food, and has given us climate change and disappeared our diversity — that art of money making is being called the art of living and the end of humanity. Its time to reclaim our humanity, our future, and it’s a very exciting moment. The Government of Bhutan has asked us to help make them 100% organic because as the Prime Minister wrote to me, he said, I can only see one way of growing happiness and that is growing organic they have also set up a think tank of every person anywhere in the world who is rethinking the economic paradigm. Ancient wisdoms are resurging again, the ecology movement is taking a new shape. The Women’s movement is saying this was never our economy. Feminist economists are saying if you put the well being of other species, the well being of humanity, at the center you get another economics. Stop measuring money transactions, start measuring the health of our rivers, our forests, our children, our communities. It’s not very difficult. Most of the work is being done now. We need the political power to shift the crowd. Proposition 37 is that little little test case for many many of the other issues that are related to this. Kolhatkar: Vandana Shiva it’s always an honor to have you on the program thank you so much for spending this time with us. Shiva: It’s my pleasure and I wish all the strength to the vote on November the 6th not just for Proposition 37 but for the larger election because both are about the same thing: Will money rule our lives or will we govern ourselves? Yes on CA Prop #37 is a family issue. 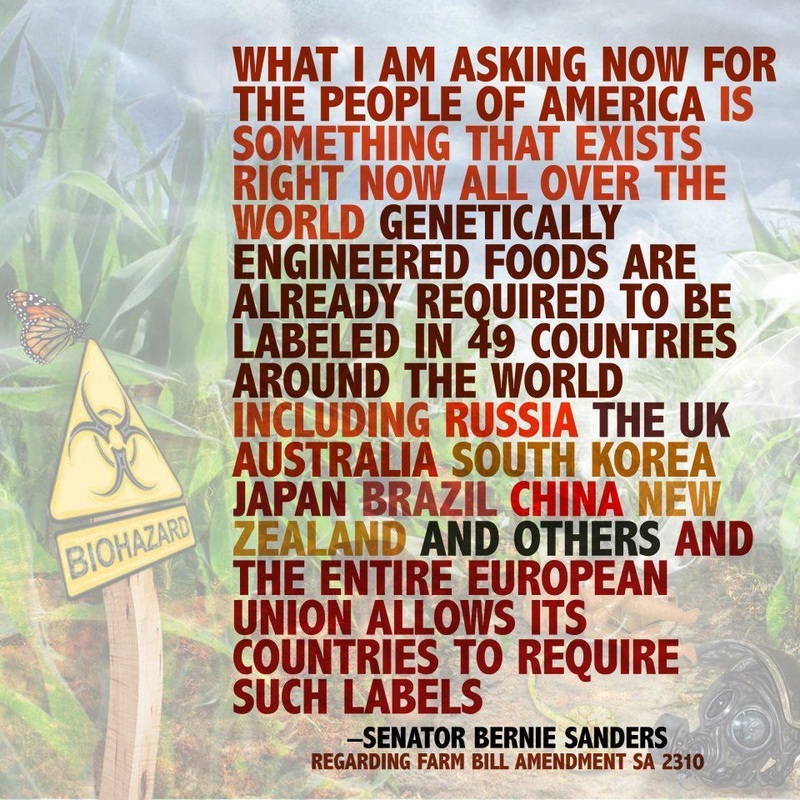 We all have the right to know what's in our food! Click to watch what the scientists had to say.